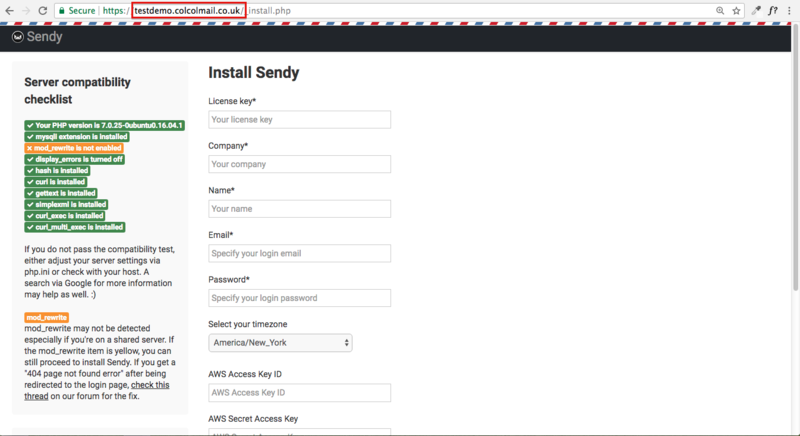 Welcome to Part 15 of Installing Sendy and Virtualmin on Amazon Web Services (AWS). 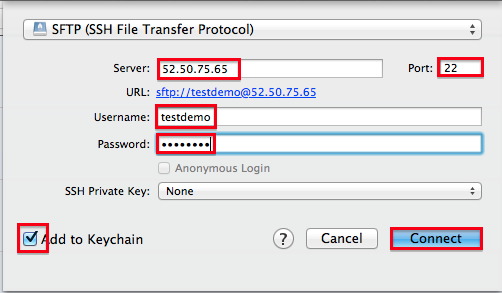 Part 15 involves transferring files from your computer to your AWS server through a Secure File Transfer Protocol (SFTP) client. 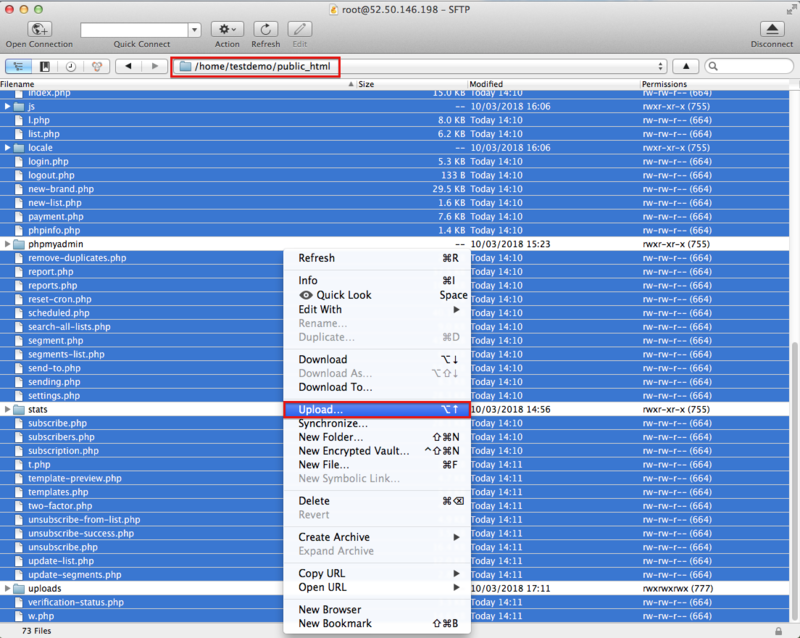 This guide uses Cyberduck, although FileZilla is a popular alternative. You must have SFTP software installed on your computer to complete these instructions. Click here to read Getting Started With Cyberduck. The URL within the APP_PATH line should be replaced with Your Sendy Installation URL (including the https:// prefix but without a trailing slash ( / )). It is vital to keep the straight apostrophes ( ' ) when amending these five lines. Sendy will not work if 'smart' apostrophes are used. Select Add to Keychain to save the login details to your computer. Then click Connect. Select Always and click Allow. 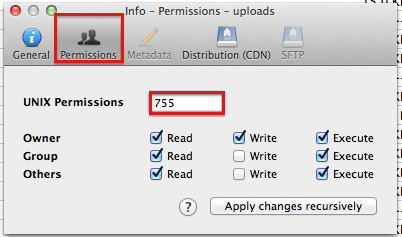 Navigate to the home/Your Chosen Subdomain/public_html folder. 10) Within Cyberduck, navigate to Your Unzipped Sendy Code Folder on your computer. 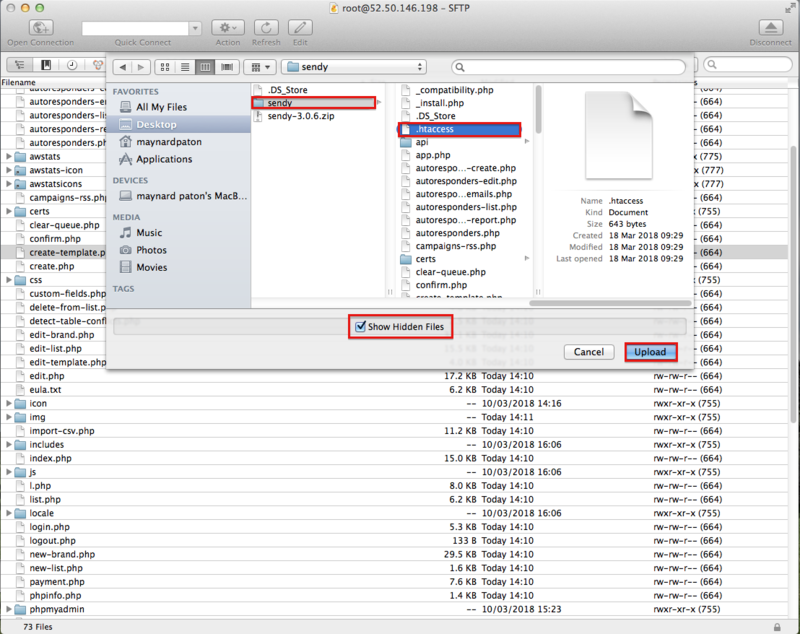 Ensure Show Hidden Files is NOT selected. 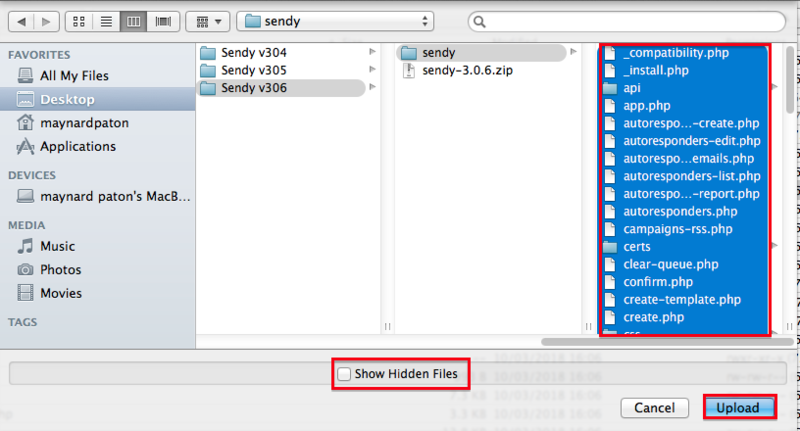 13) Within Cyberduck, navigate to Your Unzipped Sendy Code Folder on your computer. 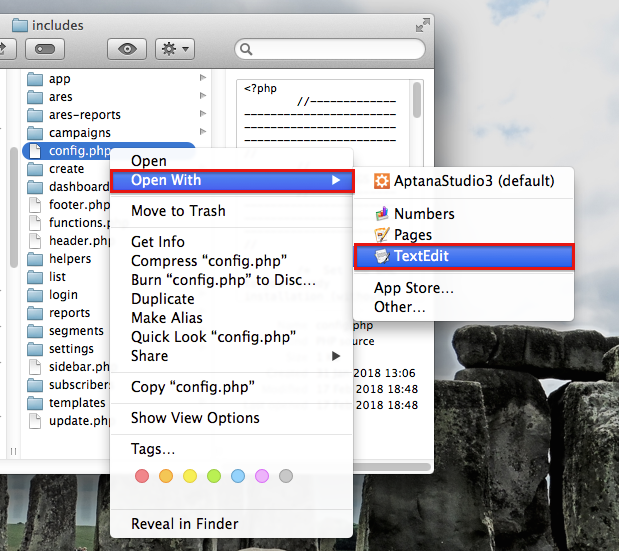 The .htaccess file will now appear within the home/Your Chosen Subdomain/public_html folder. 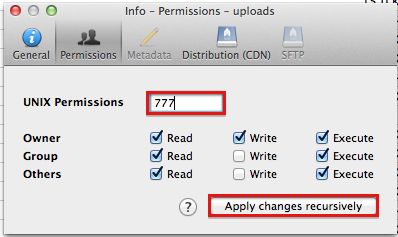 Then click Apply changes recursively. 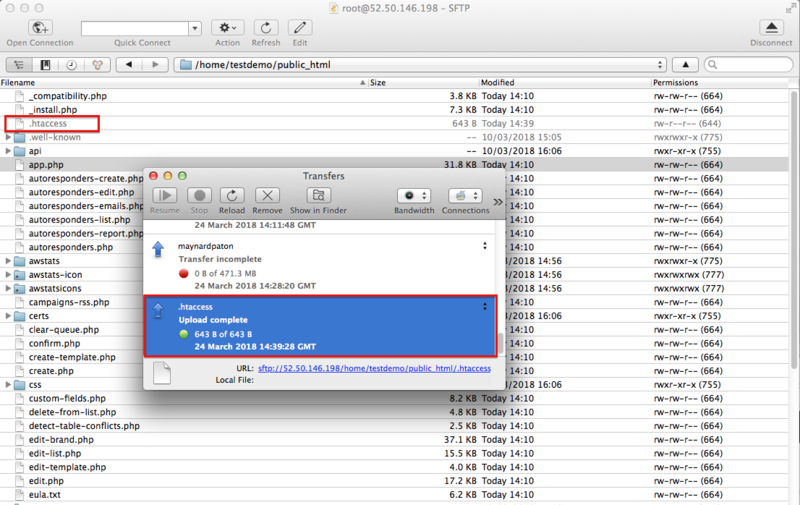 19) Within your browser, navigate to Your Sendy Installation URL. a) The Server compatibility checklist will warn mod_rewrite is not enabled. 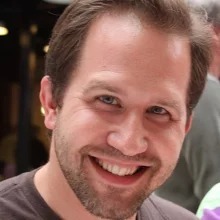 mod_rewrite is an Apache module that was not installed by Virtualmin on your AWS server. 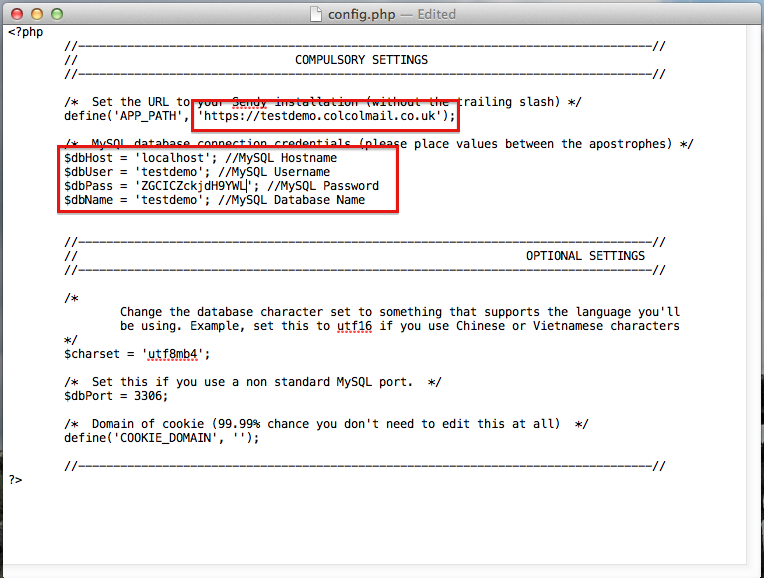 However, the Nginx configuration performed within Part 11 replaces the mod_rewrite function. The Server compatibility checklist checks only for mod_rewrite. 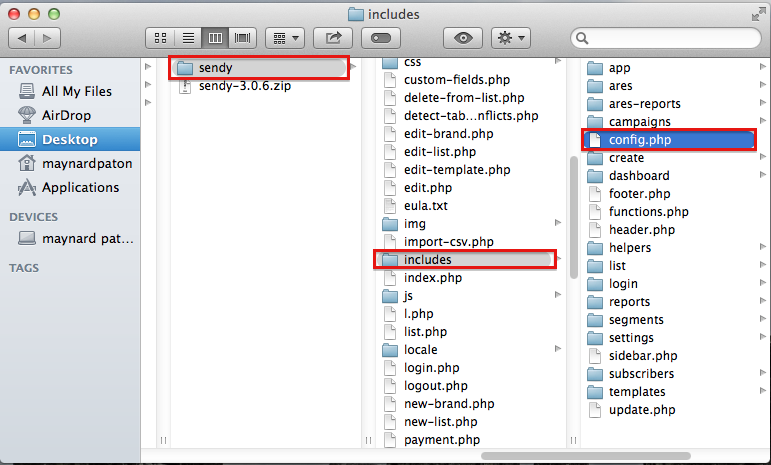 Sendy will run normally without mod_rewrite but with the correct Nginx configuration. b) Your browser should show Secure or similar, and the https:// prefix to Your Sendy Installation URL. 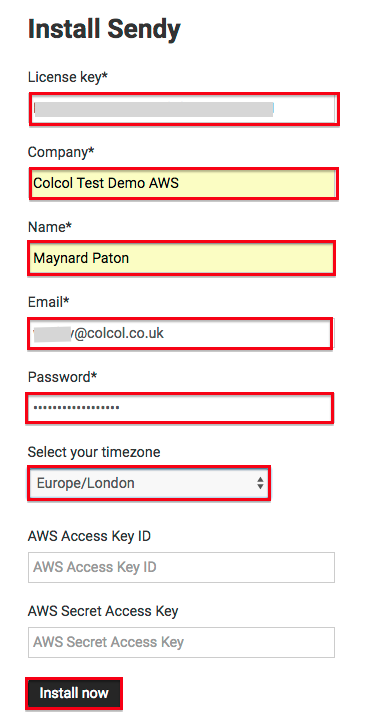 Leave the two AWS fields blank for now. Enter the Email and Password you set in step 20 and click Sign In. Stay logged in to Sendy, and click here to start Part 16. Alternatively, click here to return to the Introduction.